The Outdoor CPA | The accountant that isn't afraid to venture outside of his cubicle. Considering that my season probably should have been over on the very first day, it is crazy to me that it took twenty-eight hunts to finally score on a good buck. On the archery opener, I messed up badly on a very large buck by rushing my shot and hitting a small sapling. That error stuck with me through much of the season and was pretty difficult to get over. I spent most of October just trying to see one deer. 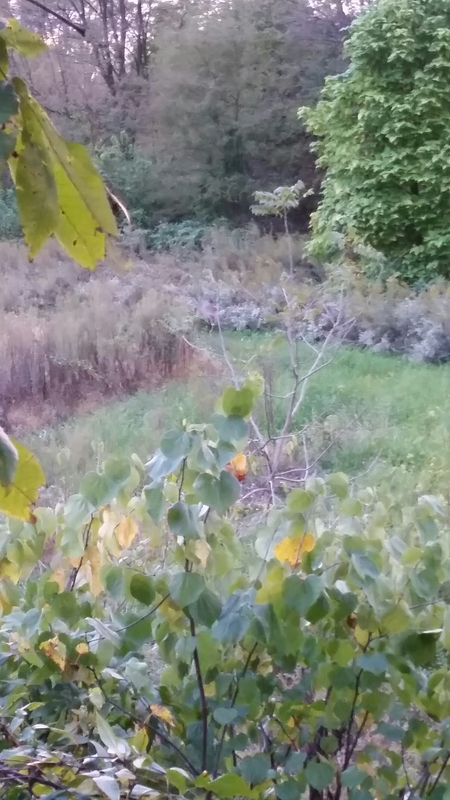 The last week of October I finally found a well-used area and shot under a doe. I could not believe the luck that I was having this year given the amount of preparation and practicing that I do each year. I just kept messing up when the moment of truth came. Finally on November 1st, I harvested a doe and it felt like my season was finally turning around. I was getting a ton of nice bucks on camera and figured it was only a matter of time until I connected on one. 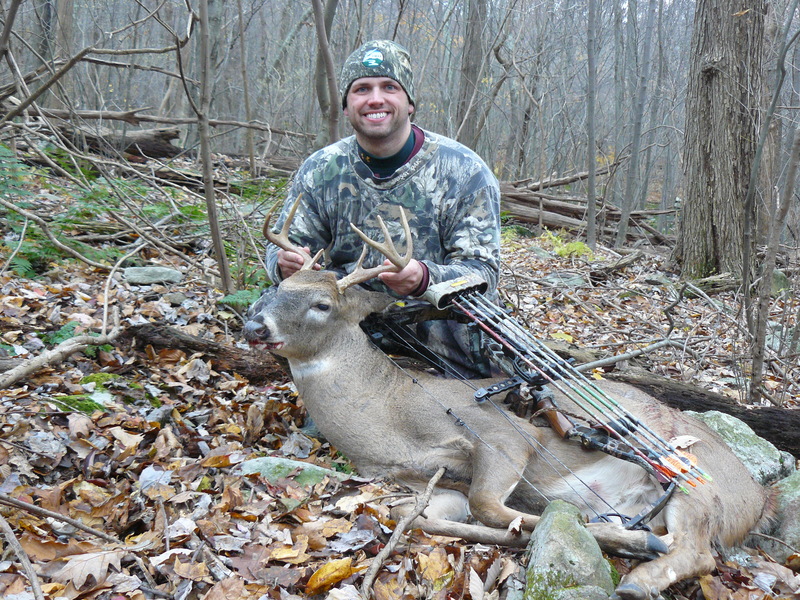 The rest of archery season came and went with my only shot opportunities being a couple different smaller six points. I did see three nice bucks, but they all stayed out of range. Finally on the last evening of the archery season, which I almost didn’t even go out due to being pretty burned out from hunting eleven of the final fourteen days of the season, I tried to hunt a stand that I have scouted hard for the last three years. However, when I got up to the stand, the lock I had on it was either rusted or frozen tight and I couldn’t get it off. Desperate to hunt the final hour or so of light, I rushed down the hill to another stand and climbed into it. I had not hunted this stand in a very long time, but I’ve always seen deer there. I watched a very nice seven point come up the hill, do a lap of the ridge then head back into the hollow. Then I watched a three point browse around. He eventually went up over the hill from me and out of sight. About five minutes after he disappeared, I caught movement over there again, but it didn’t quite look like the same deer. I pulled up the binoculars and saw one of the biggest sets of antlers that I have ever seen on this mountain. From the brief look I got of him in the binoculars, I figured it was a 140 inch 10 point for sure. I grunted as much as possible at him. Finally, he heard me and perked his head up, so I grunted again. I could tell he was interested so I kept going. 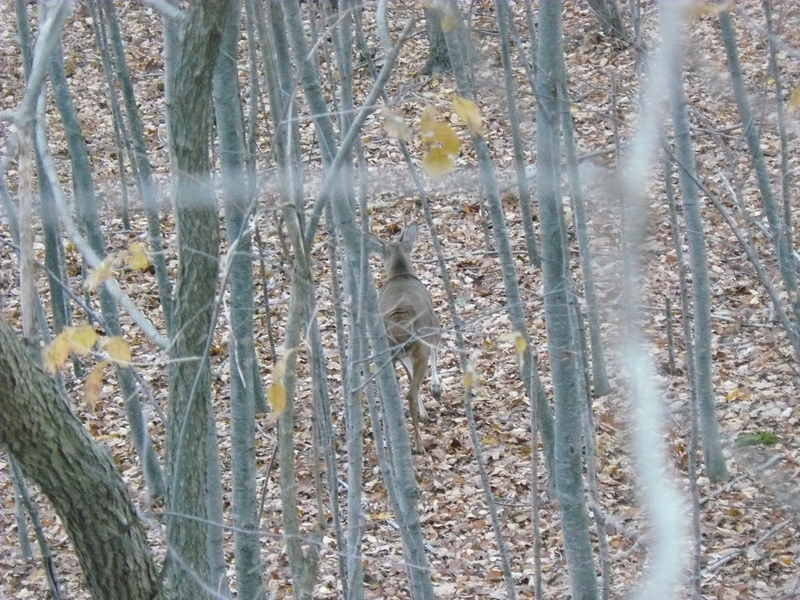 He eventually worked to within 50 yards, but a doe that had come down the hill to my other side had his interests just a little bit more and he took off after her. Seeing that buck got the juices flowing and gave my season the shot of rejuvenation that it so desperately needed. Now that I knew that buck was in there, he was all I could think about. Where did he come from? Was that where he was at all of the time or was he just cruising for does in the area? There are two major bedding areas between where I was hunting so I knew it had to be one of them. Thanks to an end of November snowfall, I was able to do some extensive scouting during Thanksgiving vacation. I determined that the deer were heading to both bedding areas in big numbers. I decided to hunt the lower one on opening day since that is typically where the pressured rifle season deer will re-locate. Opening morning of rifle season I caught movement at first light directly in front of me. A long, hard look with the binoculars revealed a decent six point. I decided to stick to the plan and hunt for a big buck. That buck eventually made it up the mountain, where he crossed paths with my Dad, who was more than thrilled to harvest him. My day ended with me seeing thirty total deer, but no other legal bucks. I spent parts of the next five days in woods and the only buck that I saw was another young six point. The second week of the season featured bad weather and too many work obligations to be able to get out. Finally with my required amount of hours in for the week, I was able to take off on Friday. 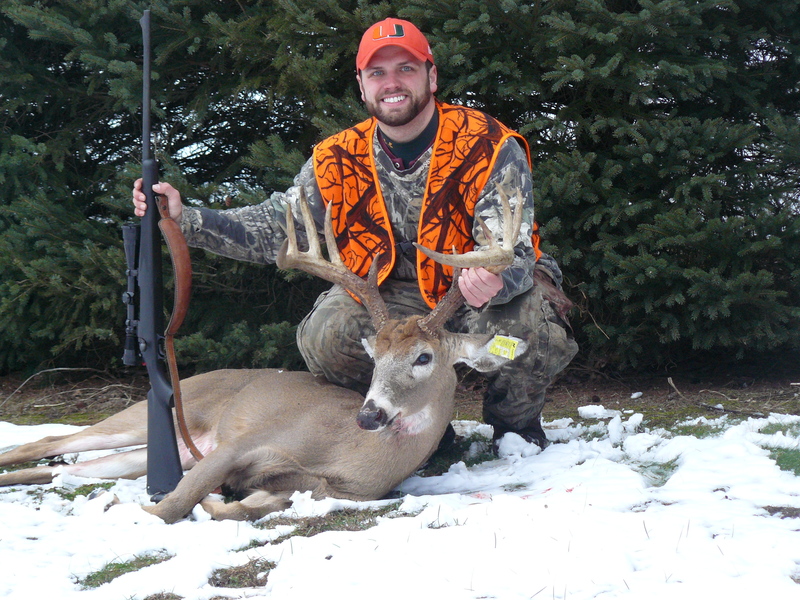 The plan was to hunt a large tract of pines that borders several thickets where I always see deer late in rifle season. 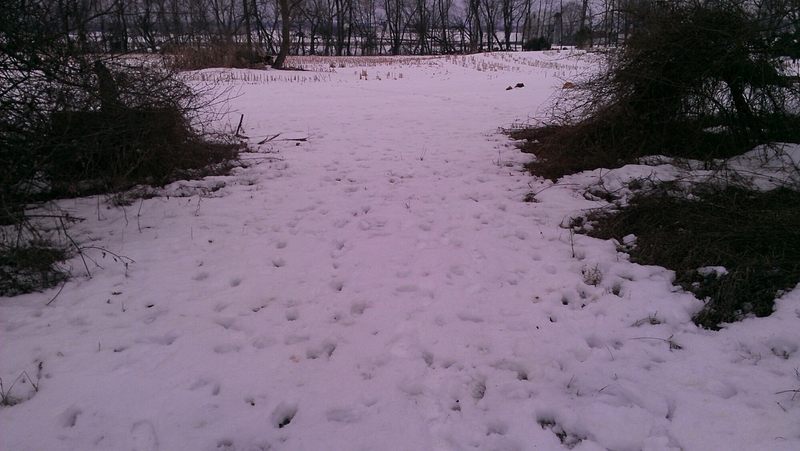 On Thursday morning, my hunting area received about three inches of snow, so that altered my game plan for the walk in. I arrived at my parking area thirty minutes earlier than normal and decided to scout on the way to my intended destination. I cut multiple deer trails that headed up the mountain as I walked out the ATV path. None of the trails were anything to get too excited about, so I continued on. I finally came to the trail that I was the most interested in seeing and even twenty yards away from the crossing I could see the kicked up snow. The trail was already down to the mud. There were a lot of deer using this trail to go up the mountain. I’ve been scouting this spot hard for three years and I knew exactly where the deer using this trail were heading. Right there and then the game plan changed. I walked the rest of the way out the trail and then took the long, steep trail to the top of the mountain. I arrived at the top trail about twenty minutes before daylight. Once up there I could not believe the amount of deer tracks in the snow up there. I knew my chances of seeing a few deer today were looking good. I decided to head down the hill a little to an outcrop where I had had a hang-on stand two years ago, but never hunted due to harvesting a buck on opening day that year. I walked about five yards off the trail and found a large birch tree to stand behind that gave me incredible vision of the ridge below. I took off all of my gear, loaded my rifle and got ready for the day. I decided to stay standing until daylight just in case there was something down the hill. Once I composed myself I made the steep, slick climb down the snow-covered hill. About 10 yards from the buck, I could see the massive rack sticking up from the ground. I was just speechless. I knew this would definitely be my best buck ever. I got down to him and admired the rack. I could not get over the sheer mass of the antlers. I had never seen anything like it. I tagged him, took a few pictures, send a few more texts, uploaded a photo to social media, and got him ready for the drag out. 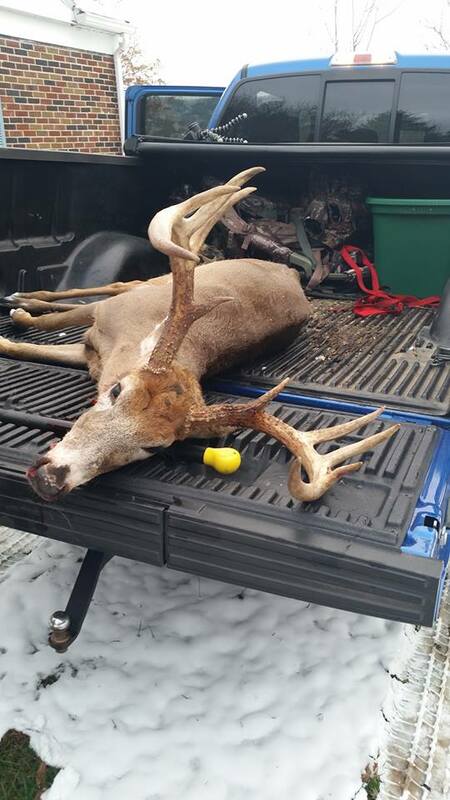 Once I got him to my parent’s house I put a tape measure to him and found out that he had an 18 ½” spread, 34” of antler mass, should gross score around 143 and net right around 138. After the excitement of Thursday evening, my anticipation to get back in my stand on my property was running pretty high. I unfortunately had to go out of town Friday through midday Saturday, so my next hunt would have to wait until Saturday evening, which just so happened to also be a good wind. The evening progressed very slowly. A few squirrels barked in the trees behind me, a decent amount of doves and geese flew out in front of me in the main field, but the deer remained fairly quiet. Around 6:45pm, I caught movement at the far end of the back field right around where you would normally enter the back field. I pulled up the binoculars, but was only able to see the back end of a deer moving towards the main field. Fortunately, I have a trail camera sitting right there, so I was later able to determine that it was the browtine-less buck from Thursday evening. After the deer disappeared, I began glassing the cut corn field in the distance and spotted between 5 or 6 deer feeding. They were probably either bedding in the nearby bean fields or my fencerow woods. Pretty soon darkness fell and it was time to call it a night. On Sunday, I came back over to the property to assess the deer activity and try to see if I could possibly identify trails that I had not seen in the summer months. A check of the cameras revealed quite the influx of deer activity from the previous week, especially on Thursday morning. Over the course of Thursday, I caught 6 different legal bucks on camera in various locations of the property. The best buck was an 8 point that I assume was the buck I saw running with the 9 point on Thursday, although he definitely looked bigger in person. The camera revealed a 13-14” 8 point with good point length. I think I got the 9 point on camera 20 minutes before the 8 point came through, but all you can see is the body of a decent-sized deer. Additional scouting revealed two trails that I was unaware of that came from the area that I have deemed to be the “off-limits” bedding area on the western end of the property. 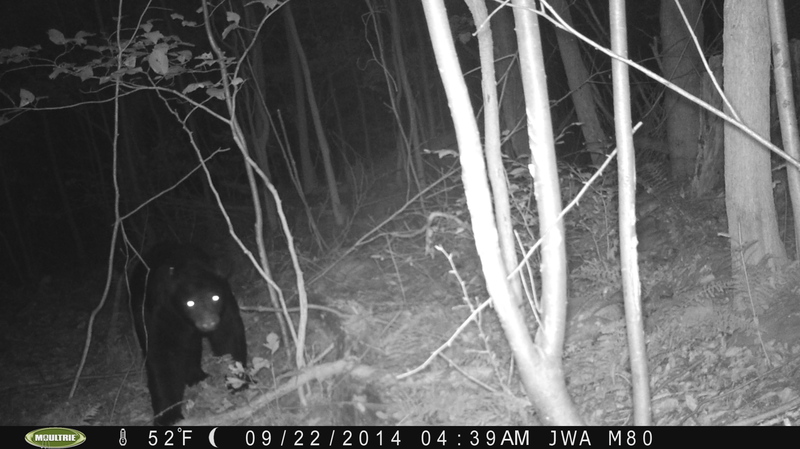 I set up one of the trail cameras at the junction with my mowed path and decided to see what the results of that would hold at the end of this week. Neither trail was in a spot that would allow me to set up a treestand with good vision of both trails and the mowed path. I followed both new trails to see where they ended up and each of them seemed to end up in either the western edge of the back field, where you can enter the back field, or popped out in my main field just out of sight from my current stand. With this new information, I decided to put up a new hang-on stand where the road from the front field enters the back field. This stand will allow me to catch anything heading into the main field and anything that funnels from the back field to the main field. The only bad thing about this stand is I will have to expose myself to the main field when walking to and from it. I feel like today brought up more questions than answers. Hopefully I can pinpoint things before the rest of the neighboring corn gets cut. I have a feeling once that happens I will need to be pretty precise with every stand setup to avoid spooking deer. I definitely anticipated being back in a tree before today. However, the events of Saturday evening have left a bitter taste in my mouth. The desire to be in a treestand has not very strong. I opted for the same spot as Saturday evening since the dropping acorns should attract a few deer. The action started out slower than anticipated. The early morning action was limited to a red fox unsuccessfully chasing squirrels. Even though it is always fun to have a front row seat to a live animal planet show even if it’s not the game that I’m chasing. At 8am, I spotted my first deer. It was a very large, single doe at about 45 yards. If I were looking to fill a doe tag this morning, she would have been high on the list if she were a little closer. As the sun crept above the mountain, the winds began to pick up quite a bit and I figured that would probably squash most deer activity for the rest of the morning. Around 8:30am, I spotted movement in the same area as the first doe. A quick look with the binoculars confirmed that it was a doe and fawn. They milled around at about 40 yards before bedding down. Knowing that I would be leaving soon, I figured there was no way that I wouldn’t be spooking them. Once the clock struck 9am, I gathered all of my gear and called it a day. With the help of a gusty wind and the lay of the land, I was somehow able to sneak out with the two does running away. I had debated going out tonight as the overall conditions were just so-so. The direction of the wind made my new property the best and fastest option. After getting off work, I went straight to the property and got ready. Anticipation was high for the sole purpose of deer hunting my very own land for the first time. My expectations for seeing anything were very low considering the amount of trail camera pictures that I had had up through Sunday. While walking into my stand, I jumped a doe out of the weeds in my squash patch. I was a bit surprised to see one in there during the day. 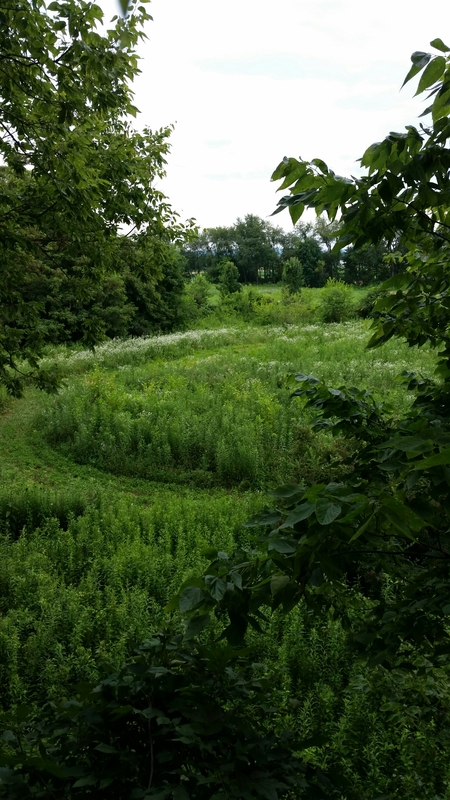 As I continued my walk, I noticed that the back half of the clover ring looked a little more trampled than normal. Then when turning into the path that I had mowed open for myself, I noticed that path was fairly trampled as well. I figured it was probably from the two groundhogs I see in that area. 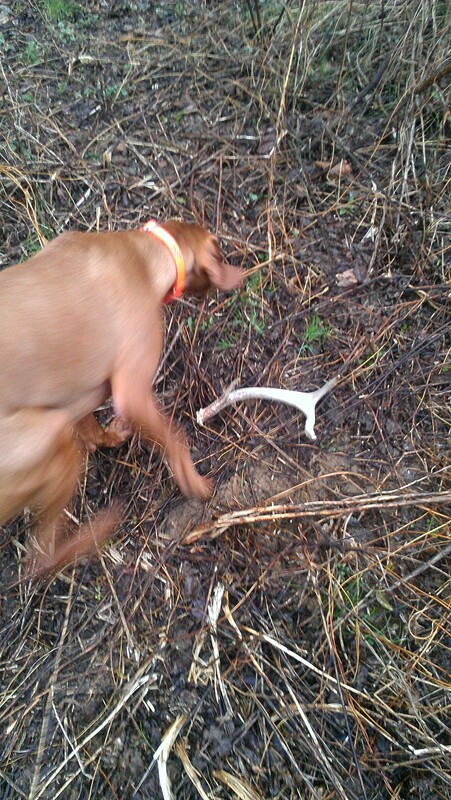 Just as I rounded the turn to get to the base of my stand, all heck broke loose. 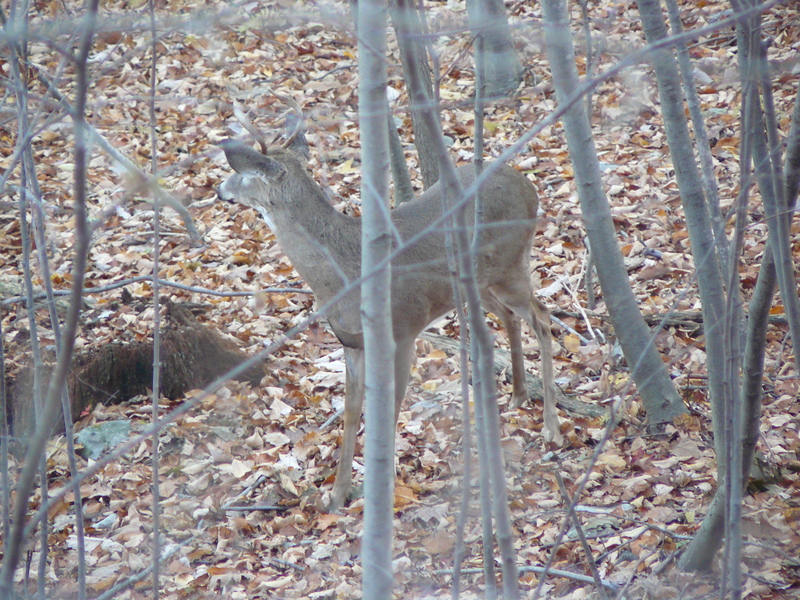 To my complete shock, I watched as two dandy bucks, a 9 and an 8, bounded towards the western end of my property. They had been bedding 15 yards from the base of my stand, of course. I figured that would probably be the the extent of my sightings for the evening. 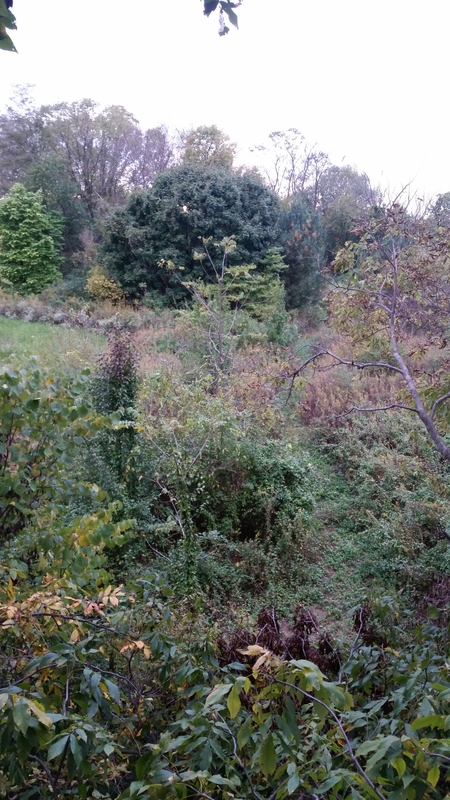 After getting situated in my stand, I realized that one of the cornfields south of my property had finally been cut, which is probably the real reason for those bucks being in there. My excitement for the evening was definitely on the rise. Around 6pm, I was surprised to catch movement in. the trail I mowed for myself to be able to use at times when the deer are in the fields. The binoculars confirmed that it was a big doe. She was nibbling on honeysuckle and multiflora rose bushes. She stuck around for about 20 minutes before heading to the front wood patch. About ten minutes after she had disappeared, I spotted movement on the far side of the field that I was overlooking. I pulled up my binoculars and saw a decent rack. I could see three up top for sure, but the goldenrod made it difficult to see the bases. He eventually worked in my direction where I was able to get a better look at him and realize that he lacked browtines and was about 14″ wide. 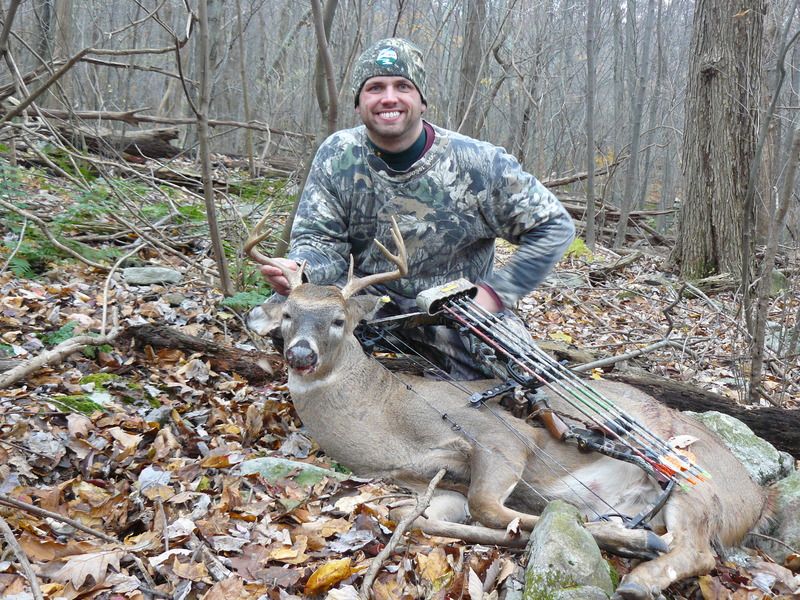 A decent buck and a cool sighting, but he would be safe if he came within bow range. He hung around munching on clover for the rest of the evening. Right about the time that I was considering getting down another doe stood up right out in front of me in the goldenrod. She must have been bedding there the whole time. I had walked within 20 yards of her while walking into my stand. She worked her way into the clover field before eventually heading over to the main field. An exciting first night on my very own property. Hopefully it will only get better from here. The months of preparation are now over and we can officially say that it is bow season again. 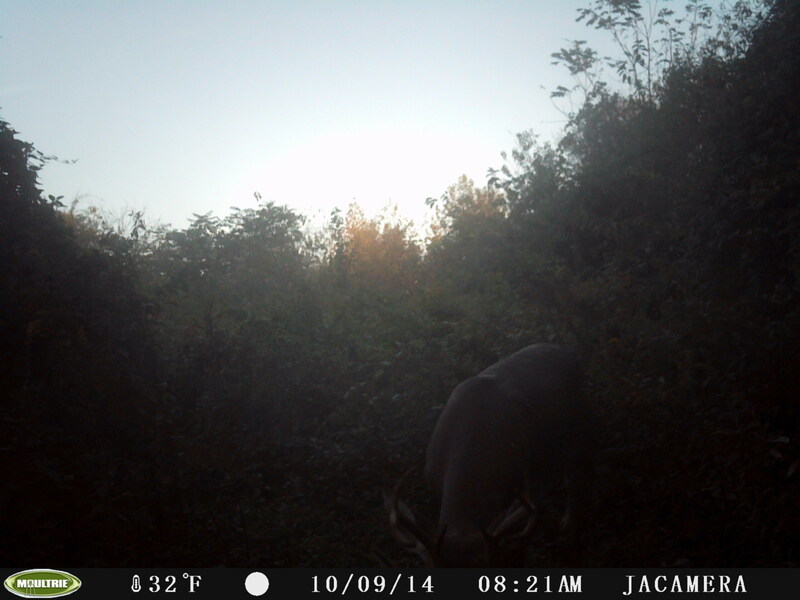 Everyone has dreams of the big buck that showed up on their trail camera finding its way to their stand. The anticipation is at its peak and it is now time to put everything we’ve learned and practiced to use. My opening morning was spent running a 5k that I had committed to before knowing the date it would be held, but the weather was pretty poor so that helped with not being able to be in a stand this morning. 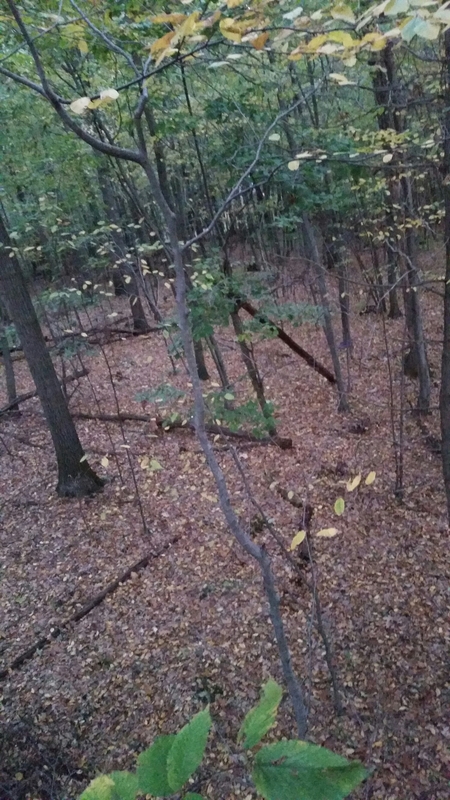 My evening was spent hunting my top hang-on stand overlooking an oak flat and natural funnel. It didn’t take very long to see my first deer. 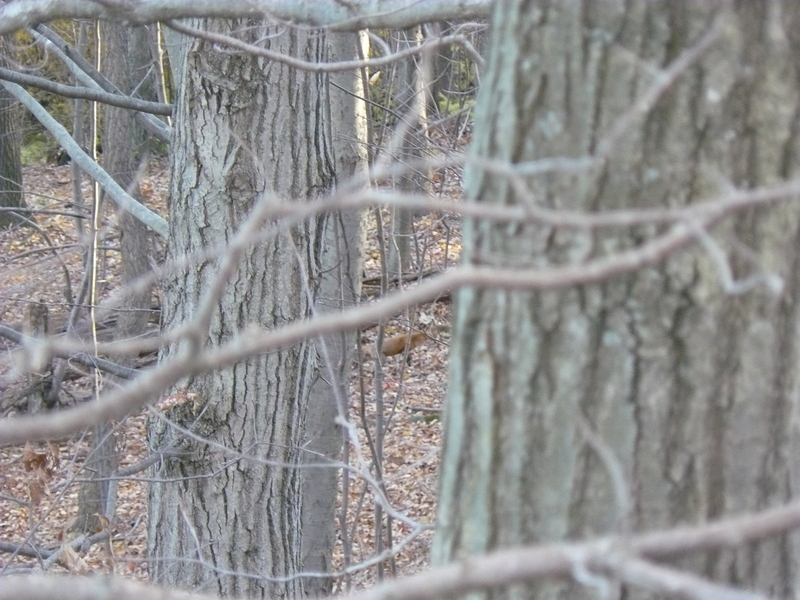 At 5pm, just as I climbed into my stand, I spotted movement about 50 yards to my right. Sure enough it was two does working their way down the hill. I had to wait until they stepped behind a tree just to pull my bow up. They didn’t hang around long and eventually moved out of sight, which allowed me to be able to finish setting myself up for the remainder of the evening. Just as the light was beginning to fade I caught movement in the brush up the hill from me. It didn’t take long to realize that it was a shooter buck. I grabbed my bow, nocked my release and got ready. He worked directly towards me then started veering to my right. Just as he got behind a tree I pulled back and got ready for his next move. He continued moving to my right until he came to a small birch tree and began rubbing his antlers. 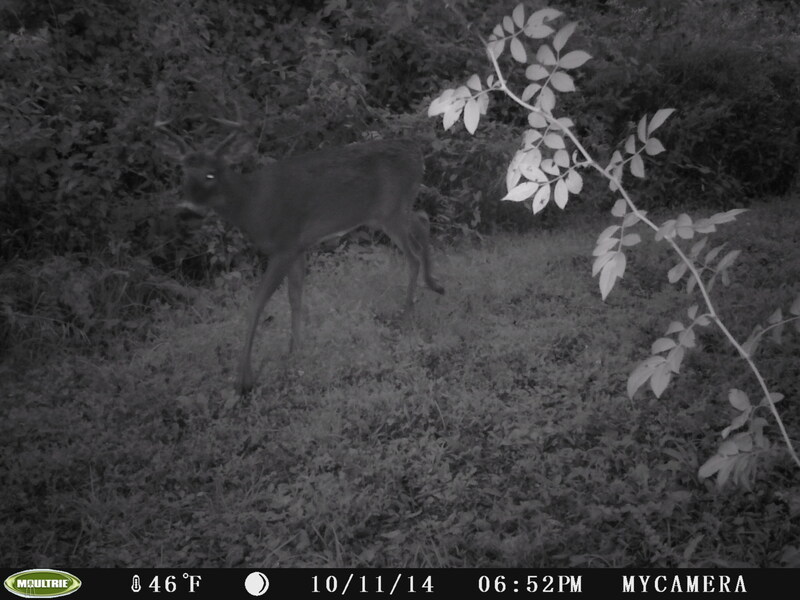 Through my peep sight, I could see a opening to his vitals so I decided this would be my chance. I released my arrow and was surprised to see sparks and a slowly trotting buck. I then realized there was a small birch tree that I missed seeing in my peep sight that I had clearly just smacked. The buck looked around and continued walking down the hill. I quickly scrambled to grab another arrow but the one I grabbed the blades had come open so I had to grab another. Just as I nocked the arrow he looked up and spotted me. All I remember is his extremely wide rack facing me and just like that he was gone. At that moment I had never felt more frustration in a deer stand. Chances are if I had left him keep walking he would have eventually walked into one of my cleared shooting lanes. Severely frustrated I had to sit down for a few minutes to collect my thoughts before climbing down. Once I finally got down I collected my shattered arrow and analyzed the shot a bit before calling it a day. It has taken a few days to get over it enough to be able to write about it, but I can now brush it off and get back my concentration and confidence. There is a long season ahead and hopefully I didn’t blow my only chance at a good buck. Bow season is almost upon us and the preparation for this season began the day after my buck hit the ground last season. I spent the whole day trying to figure out buck movements during the rut in areas that do not normally hunt. I ended up seeing nine different bucks, all but two of which were legal. This got the motor turning in figuring out what areas to focus on the rest of the fall and winter. I went back and checked the different trails about a half dozen times while out collecting maple sap and there were two spots that impressed me more and more each time out. In early spring, before the leaves showed up I found a few treestand worthy spots. 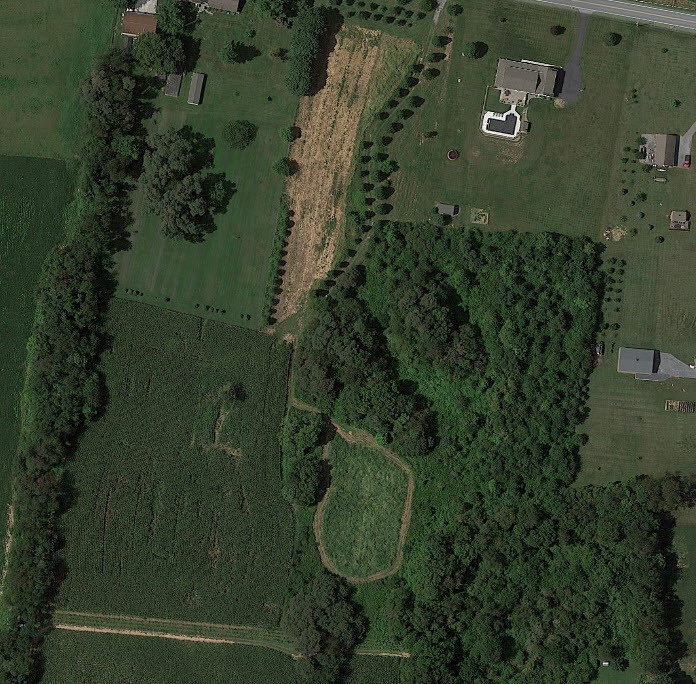 Around the same time, I had the opportunity to purchase a small chunk of woods and field in among thousands of acres of surrounding farm fields. I could not pass on the opportunity and on my second walk around the property I found out just how many deer frequent the small woodlot. After a little scouting and online research, I figured out that I had the only woods with a one-mile radius that were at least 50 yards wide. After talking with some of the neighboring landowners, I found out that once the fields get cut the deer use my property as their home base and there are normally anywhere between 8 and 20 deer in my field each evening. 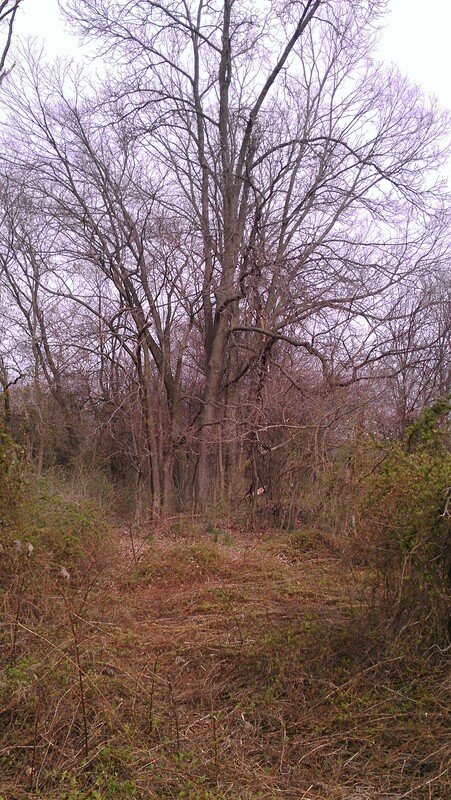 Once I closed on the property, I did a more in-depth scouting trip in the approximately seven-acre woodlot. I found multiple highway-esque trails, rubs, and even a shed from a decent two year old buck. Since then I have been monitoring the deer activity regularly. The deer were there most days while I planted fruit trees and corn, but as the neighboring corn fields grew, the amount of deer sightings decreased fairly quickly. I took that as an opportunity to carve out some new trails that all filtered right to a spot that I planned to put a treestand. 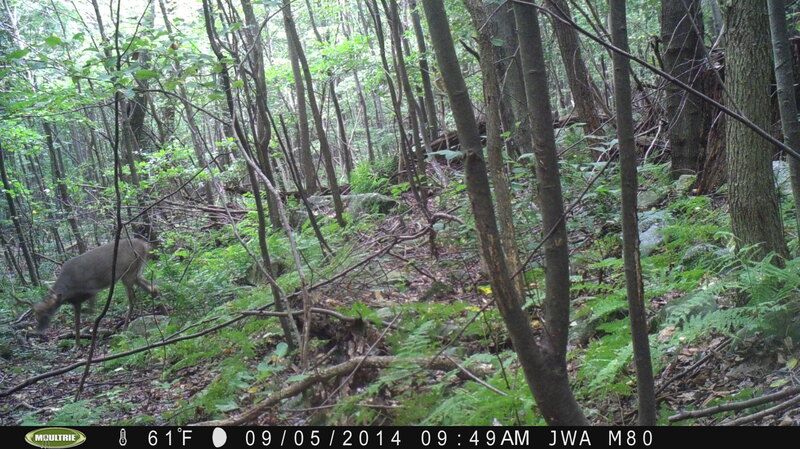 Starting in June, I ran two trail cameras in various locations throughout the property. The pictures showed a few resident deer that were calling my property home, along with the occasional visiting buck. 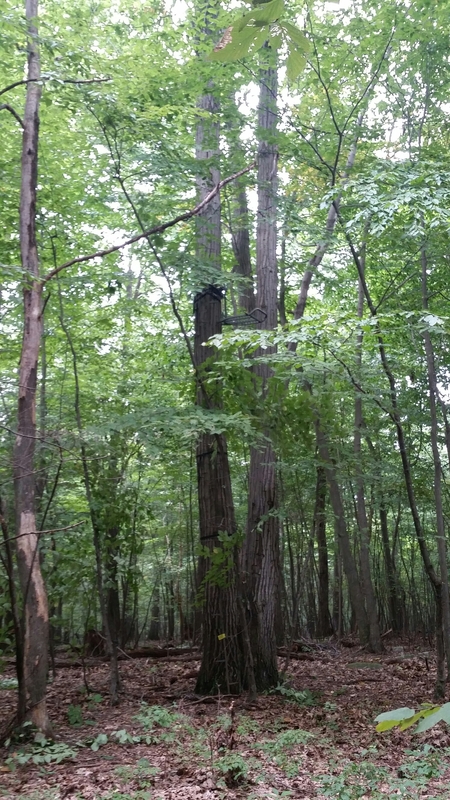 In early-July, I hung a treestand that overlooks the back field along with a few heavy trails that are guided by an old cattle fence inside of the woods. The best buck on the new property so far. Once I felt comfortable with my strategies for my new property, I turned my focus to preparing the other area that I hunt. 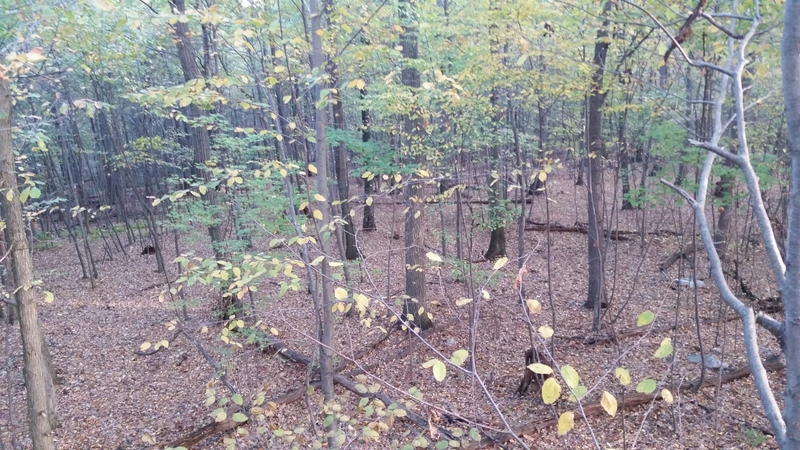 I took one walk to the various spots that I scouted in the fall and spring and identified the trees that would be the best for hanging my stands and what limbs would need to be trimmed. 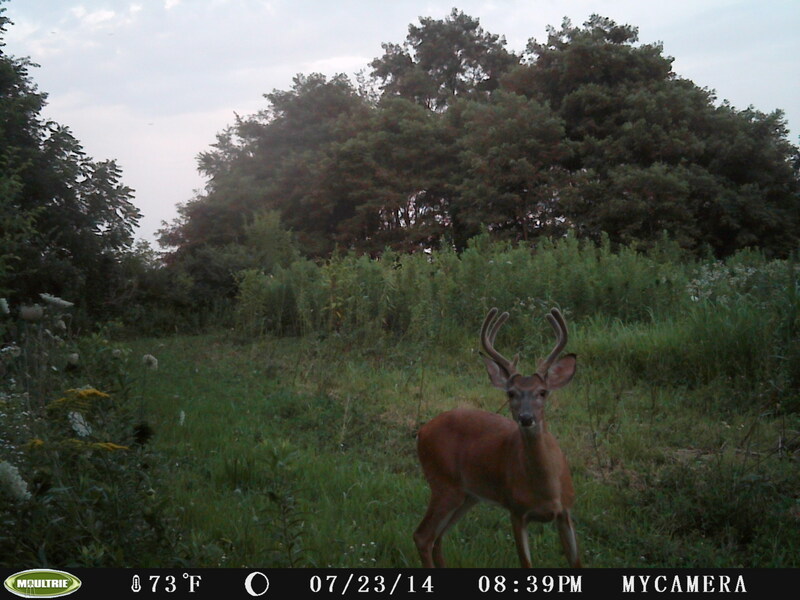 In late-August, I hung my stands, trimmed my lanes and hung three cameras. I’ve decided to take a very light approach to scouting this year in an effort to reduce my scent in the areas. I waited until last week to finally check my cameras and was pleasantly surprised to find multiple shooter bucks and a curious bear in the area. One of the stands, I have not seen since the day that I hung it and should easily be my most productive stand. 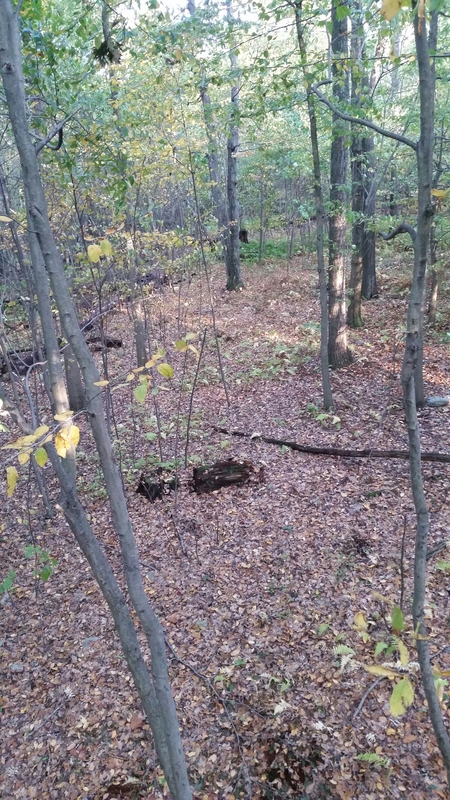 The spot features a large oak flat, where I’ve taken early season bucks in the past, and natural funnel that a large amount of does tend to use, which will eventually turn this into a gold-mine once the rut kicks in. 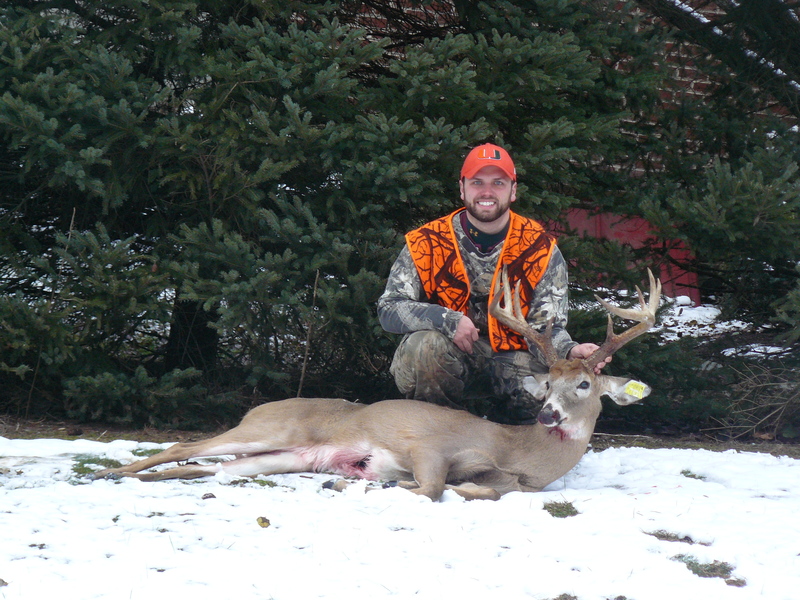 This is the same general location that I harvested my 136” 8 point in 2009. So to say that I am pumped about this spot would be an understatement. 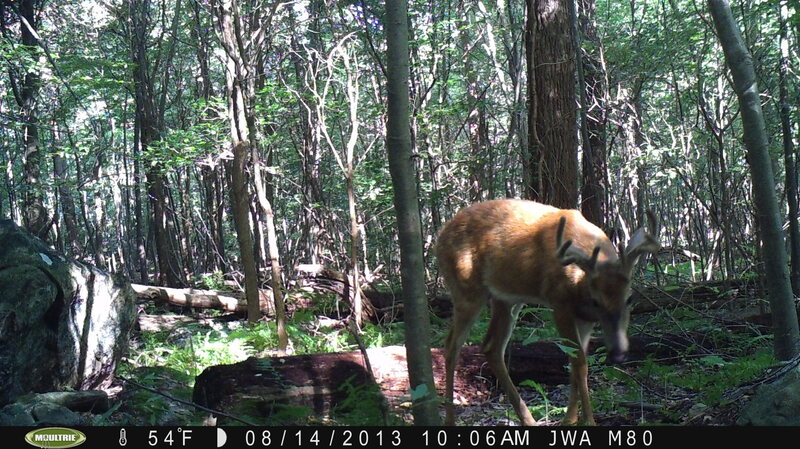 However, the trail camera pictures from the spot that I harvested my buck from last year has me a little torn. I have also been pleasantly surprised to see deer activity starting to increase on my property as the area corn fields are cut. There are still a lot of fields left to be cut, so I expect the deer activity on my property to only increase as the season goes on. It should be another exciting year of bowhunting as I take you along with me on the upcoming journeys. Good luck to everyone heading out! @theoutdoorcpa on Twitter and Instagram for in-hunt pictures and posts. Up until today, it has been a very quiet spring in the turkey woods. I had not heard a single bird in two scouting trips. I had planned on doing one final scouting trip on Friday morning, but a fairly painful sinus infection curbed that plan. Instead, I spent the day doing everything possible to feel better so I could go out today. I had my alarm set for 4:30am, but oddly enough I woke up wide awake at 4:15am finally able to somewhat breath through my nose for the first time in three days. I figured that was good enough and got up, got ready, and headed out the door. I pulled into the parking area at 5am and was the first vehicle there. From there I made the 20 minute walk to the spot that I had planned to listen for gobbling birds. When I arrived at the spot, I pulled out my phone and typed up a Facebook post about it being opening day. Just as I hit the “post” button I heard my first two gobbles of the day up the hill. I put my phone away and began my trek up the mountain. As I closed in on the area that I figured they were roosted, I paused to listen for their next gobbles so I could position myself for a calling setup. Right on queue four birds sounded off, but instead of being a hundred or so yards out the ridge, they were about 200 yards straight up the hill on the very top of the mountain. My sinuses were already closing up and I could no longer breath out of my nose, but with multiple gobbling birds, I knew this would be my best chance at a bird today. I took off up the hill, stopping occasionally to catch my breath and listen for gobbles. Every time the birds did not disappoint with each of the four birds gobbling at the same time. Just as I got to the last bench before the top of the mountain, I realized that there was no easy way to go straight up and instead would now have to rock hop the rest of the way up. Just as I got to the edge of the top, I realized I was inside of one hundred yards of the closest bird. I found a tree and began to get set up. No sooner did get my face mask on and I could hear the birds pitching off of the roost. They flew further out the mountain, but having deer hunted this area countless times over the years, I could tell they were still on the bench. My new plan was to head over the top, circle around them and try to cut them off before they got to the top. Just as I got up to the very top, the birds sounded off again, only this time I could tell they had moved up the hill and we’re heading to the top. My new new plan was to try to get myself to the edge of an opening that I new was up ahead. As I was about twenty yards from the spot, three birds gobbled. This time they were definitely on top and getting closer to my location. I did not want to risk spooking them, so I looked for the closest tree and plopped down. I replaced my orange hat with a camouflage face mask and hat. Then turned on my go pro camera and put that on top of my hat. I placed my H.S. strut “Raspy Old Hen” call in my mouth, took a deep breath and made my first call. The birds did not respond. However, thirty seconds later they gobbled again from the same location as before. I decided to call again figuring that my first call may have been too soft. I made a much louder call and they responded immediately, including a fourth bird that was down the mountain in the area near where I had just come from to get here. Now that I knew that they knew I was there, I would let them come find me. They continued to gobble as they got closer and closer until the gobbling stopped getting closer and the birds hung up in the opening that I was trying to get to earlier. I waited them out for another five minutes before deciding that I needed to make another call or they could move away from me. I turned my head, facing the opposite direction, put hand over my mouth to make my sound like it was coming from behind me, and made a soft call. All three birds responded immediately. Thirty seconds later I could hear them walking out in front of me. I got ready for them to appear and lined my eye up with the bead on the end of my barrel. I could hear them fanning out and spitting as they got closer. Finally, a red head appeared 30 yards in front of me in an opening. I could see a good beard on him and knew that was enough for me to see. I sent a load of hevi-shot 6 shot his direction and he went right down. I darted over to the bird and watched the other two gobblers fly down the mountain. As I was filling out my tag, I could hear several gobbles down the mountain in different areas, including right around where I had originally stopped to listen (it figures). I noted their location in hopes of locating one of those birds for tag #2. 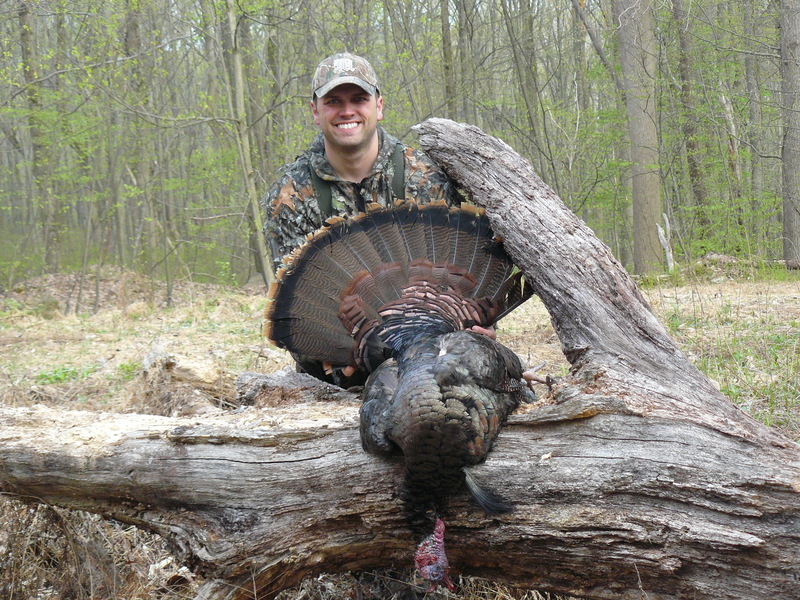 My 6th spring gobbler in 6 years using the “Raspy Old Hen.” This bird went 18lbs with a 10″ beard and 3/4″ spurs. Unfortunately, the video from the Go-Pro did not turn out too well due to a poor angle, low lighting, and the cameras inability to pick up sound at a distance. Still an extremely exciting opening day! Good luck to everyone venturing out this spring. After the warm temperatures rolled in on Tuesday, I sat Wednesday and Thursday out. However, I got a report on Thursday that the bucks were moving and moving in a big way. While the forecast for Friday wasn’t ideal with midday winds in the teens, I knew that I had to go out. I could only hunt until 9am, so I could get to work in time, so I chose my hang-on in the middle of the property, which is the same stand as Day 2. It was a fairly slow morning. The wind was blowing pretty hard right from the start. Fortunately, I had plenty of layers on so I was not worried about getting too cold. I scanned the area in front of me constantly hoping to spot movement. 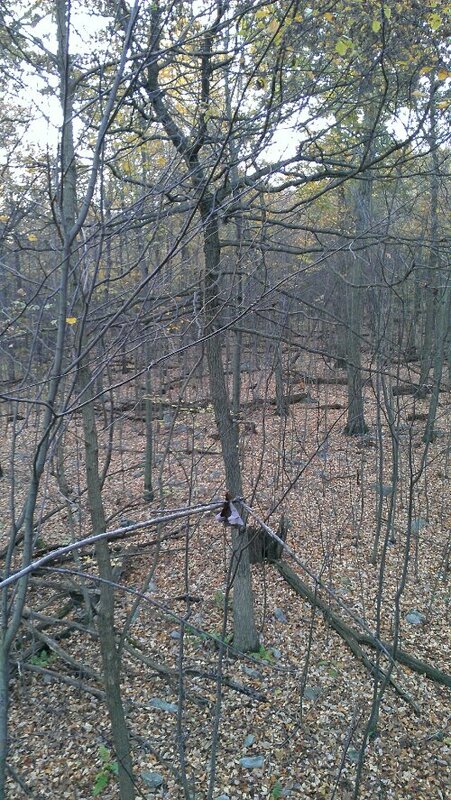 With the leaves mostly gone, I was now able to see a good 100 yards out in front of the stand. If anything was going to come up the hill, I was going to see it. 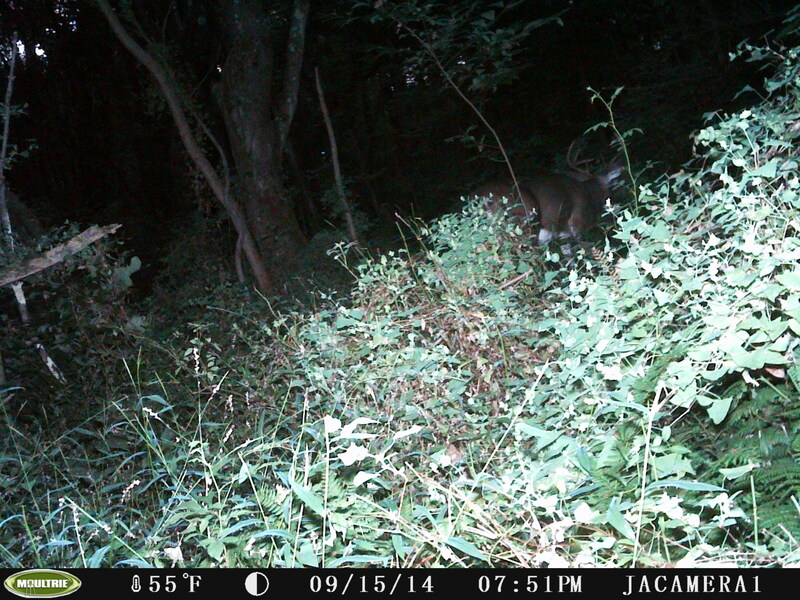 Around 7:40 I caught movement about 80 yards away on the main trail that eventually comes past my stand. I pulled up the binoculars and immediately recognized the rack and patches of missing fur on the back. It was the buck that I shot at on October 18th. I grabbed my bow and turned on the lumenock as he continued to close the gap. 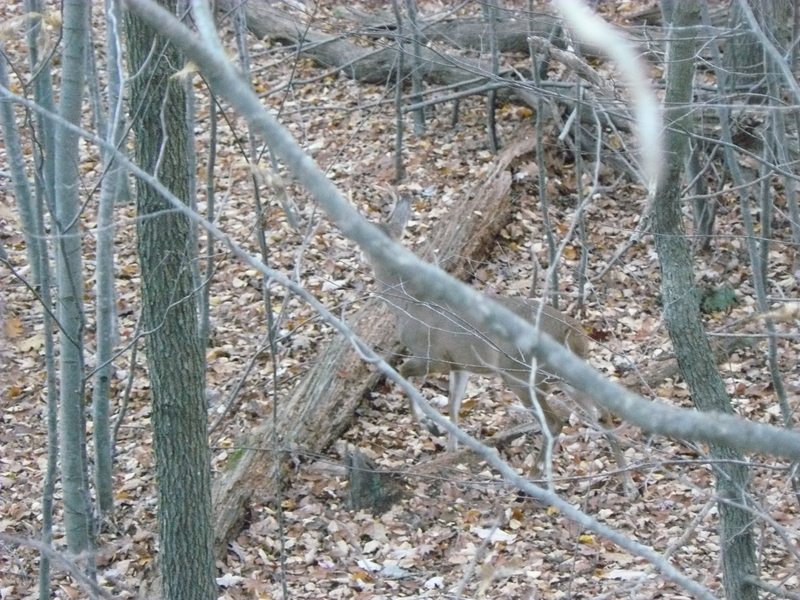 As he got into bow range, I soon realized that I was going to need him to pass my stand before I would be able to get a shot since he was quartering towards me. As he got behind a large double maple tree, I drew my bow. He walked past me without ever looking up. I slowly turned and positioned myself for when he hit my opening. As he entered the opening I made a grunt with my voice. He immediately stopped. He was quartering away pretty hard so I aimed around the middle of the body. Once I got my pinned settled, I released the arrow. I watched as the green lumenock went into the center of the body, out the other side and into the ground. I knew immediately that it was a good shot. He ran out across the trail that connects to the trail that he was on and dropped 60 yards from the shot. I didn’t know whether to be excited or relieved to have finally taken this buck after a long 21 days of pursuit. I gave him 30 minutes to ensure that he was down for good. In the meantime, I texted friends, family, and called off of work for the rest of the day. I climbed down and found my arrow and noticed good blood on the arrow. I walked over and found him piled up. Now that I could see the rack up close I realized I had a little more history with this buck. He was the very first buck to show up on my trail camera back in August and it just happened to be right in front of the treestand I had just taken him from. Going back even further. 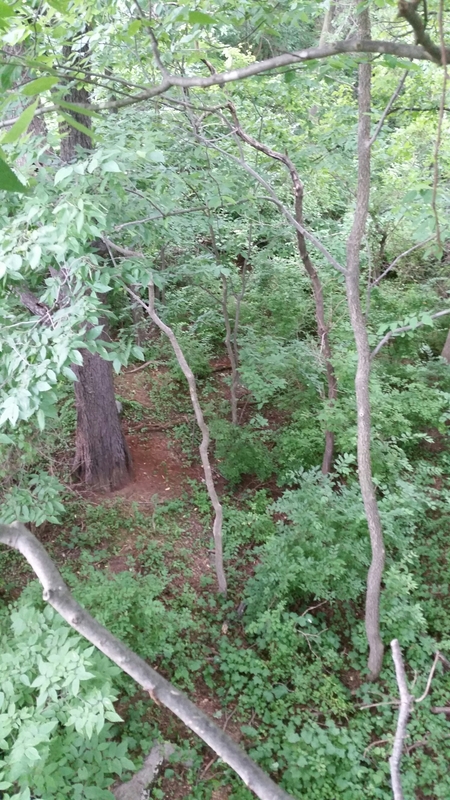 I had scouted this spot hard since last December and hung this treestand in early July, because I was that confident that this was going to be a go-to spot this season. After examining the antlers, I looked over the body to see how well I placed the shot. I noticed a patch of hair missing just behind the shoulder and another patch with fresh blood near the middle of the body. Then it hit me… The front mark was from my shot in October. Upon examining the insides I noticed that I had just barely clipped the back edge of both lungs from the October hit. There were small notches out of the lungs with black and blue marks around them. One inch to the left and I would have had a double lung hit and a dead buck in October. An inch or two to the right and I would have hit the liver. It is pretty remarkable how small the margin of error is in archery hunting. There has always been the debate about whether or not you can hit a deer in the vital area and not actually kill it. I think this proves that you can hit a buck in the lung area and not actually kill it. The two hits – Which shot would you think was the fatal one? While skinning the deer, I got to the area of the October hole exit and my knife hit something out of place. I pulled the skin down a little further and noticed a triangle under the skin. I dug around with my knife and pulled out half of one of my broadhead blades. Upon further examination, I noticed that my broadhead had hit a rib, broke the rib (that had since almost fulled healed), and either the blade wedged in the rib or broke off and caused the arrow to not pass through. What are the chances of this ever happening? When I began this journal at the start of the season, I never could have thought that this sequence of events could have ever occurred. Now that my buck tag has been filled, it is time to chase turkeys and then begin my pursuit of my first deer with a flintlock rifle with my doe tags. Weather: mid 20s in the morning, mid 40s by afternoon. Mostly sunny. Today I found myself back at the same spot as Day 9. The heavy action from Saturday continued. About 30 minutes after first light I spotted a deer running through the brush below me. Shortly thereafter, I spotted a buck behind her. I checked him out with the binoculars and saw that it was a 3 on top on both sides without brow tines, making him a 6 point. He chased her around below me, but the never found their way up to me. He wasn’t what I was looking for anyway. They disappeared into the brush and about 15 minutes later the woods erupted and I had deer running up out of the brush in my direction. It was 6 does/fawns and a small 3 point. The does and fawns went up over the hill rather quickly, while the 3 point milled around at about 15 yards. He eventually worked his way up the hill and out of sight. The woods went quiet for about 30 minutes before I spotted something moving in the brush below me. 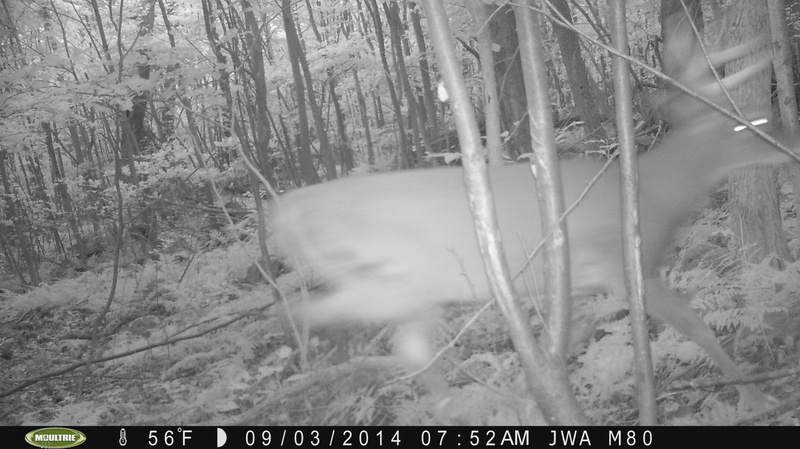 A nice looking red fox moving through the area looking for a meal. Once they got to the top of the hill, the two does crossed the road and were heading right to me. Both bucks were slowly creeping behind them. The does got to about 15 yards with the 6 point at about 20 yards and the 8 point at about 30 yards, but closing. The 8 point was facing me and in too much brush, so he needed to come another 10-12 yards for a shot. The 6 point was standing in the wide open, go figure. As the bucks slowly closed, I caught something running in my peripheral vision. I look up and see the 5 point from Saturday running across the flat in my direction. The does took off running past my stand as the small buck gave chase. The 6 and 8 point soon followed. The 8 point came through my openings, but wouldn’t stop for anything. I couldn’t believe it… Another encounter with this buck, but unable to connect. I sat in the tree for another hour before catching movement in the brush below me. It was the 6 point cruising across the hill behind me. I watched him as he walked across and into the hollow on the other side of the road before he disappears down over the hill. After that, it was a long four hours in the stand with nothing moving. Around 3pm, I had two button bucks work across the flat beside me. They fed in front of for a good 30 minutes before heading down the hill. Around 4:30pm, I caught movement above me. Wouldn’t you know it, it is the 5 point that messed everything up that morning. He worked his way down the hill, browsing the whole time. Just as it was getting dark out, I had a fawn doe come in under my tree. She fed around my tree until I decided that I needed to go and spooked her away. A good, exciting day in the tree. The chasing phase seems to be here, so the bigger cruisers should not be far behind. I normally wouldn’t combine two all day sits into one post, but there wasn’t much to talk about on this day. Whatever switch was turned on the day before had been abruptly turned back off. I had a single button buck feed across the flat in front of me for the better of an hour between 10 and 11am, but that was it for deer movement on the day. 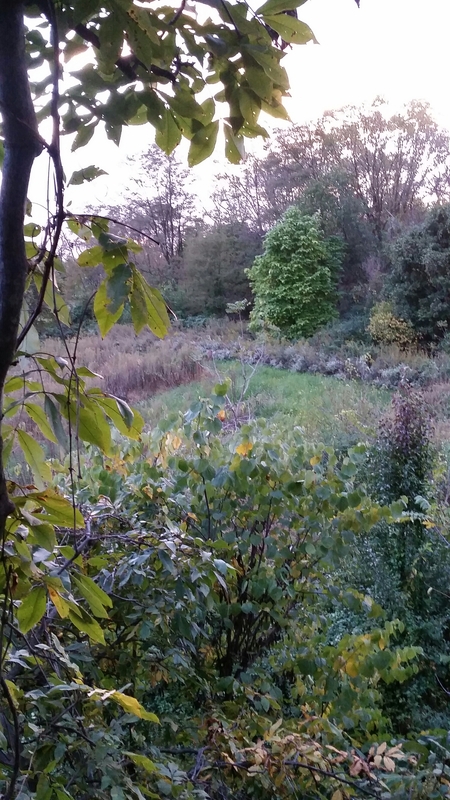 I tried moving spots for the evening and set up in a hollow that used to be a great evening rut spot. 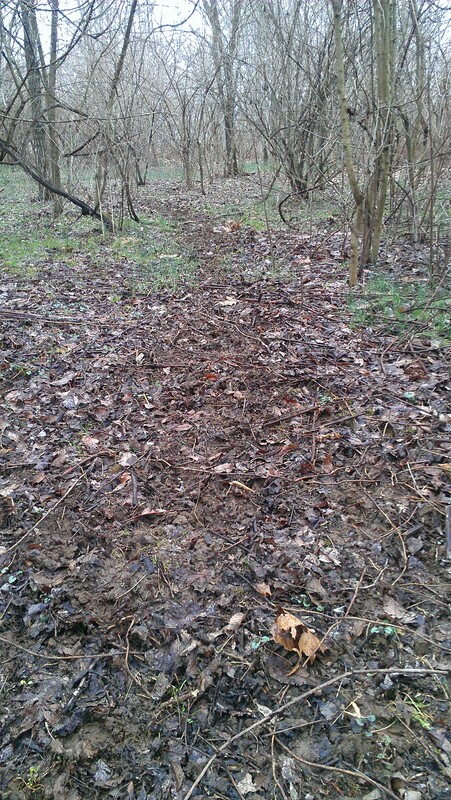 I set up over two freshly worked scrapes in hopes that the deer that worked them would show. Other than two woodcocks, a raccoon going back legs first 40 feet down a tree, and a ton of squirrels, there wasn’t much to write about tonight. With the poor movement and warm temperatures rolling in on the 6th, I decided to head to work for two days and then try again on Friday after the cold front passes through. I headed to the same tree as Wednesday only this time I climbed another four to five feet higher in the tree since the lack of leaves was leaving me a little more exposed than I liked. As the woods brightened the sound of turkeys in the trees around me filled the woods. I had them to my left, right, and directly below me. Being that I was in a good position for deer hunting, I decided that I would only try to take a turkey if they walked within 20 yards of me on their own. Otherwise, I was deer hunting only. Around 7:30 the first two birds pitched down from my right and landed about 25 yards below me. I grabbed my bow, just in case, but as the others pitched down, they all headed down over the hill and sat about 50 yards away grooming themselves for the better part of the next 30 minutes. A long distance view of the birds working their way across the hill below me. While watching the turkeys grooming themselves, I heard a branch break out to my left. I turned and spotted a very small deer heading up the hill and angling right to me. I checked it out with the binoculars and confirmed it was indeed a fawn. As I lowered my binoculars I caught movement behind her. I figured it was probably the mother doe, but instead it was a 6 point that I have seen a lot through my trail cameras and I am fairly certain is a deer that I saw quite a few times last year. He has a very narrow spread, but 3-4″ brow times and thick bases. A definite 2 year old. The doe crossed at about 10 yards and the buck followed her the whole way, nose to the ground and grunting. He passed by and I snapped a few pictures. No sooner did he disappear into the next hollow, I spotted movement off to my left again. Here comes a buck working along the edge of the ridge and heading right for me. I checked him out with the binoculars. A small 5 point. 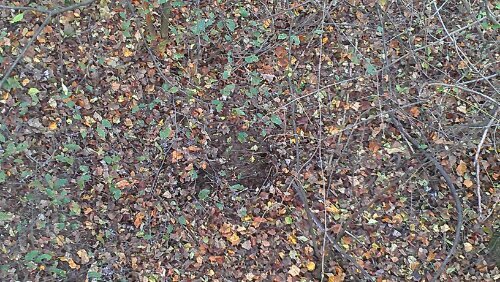 The followed the exact path of the 6 point under my tree, before heading into the next hollow as well. About fifteen minutes later, I spotted movement out in front of me. Coming down the hill was yet another buck. I checked him out with the binoculars, but he was just a small year and a half old 6 point. He stayed at about 50 yards and never came in close enough for a picture. The next two-plus hours were spent watching squirrels and hearing the occasional turkey yelping below me. Around 11am, I caught movement at about 60 yards in the way of a small sapling swaying back and forth in a vicious manner. I pulled up the binoculars and spotted a decent rack immediately. 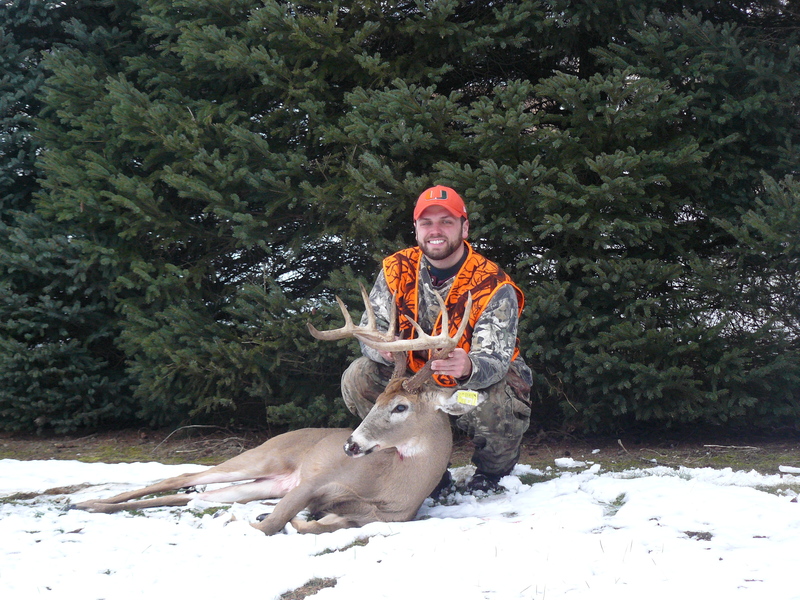 As he finished rubbing the small oak tree, I could see that it was about a 15″ wide 7 point. His points didn’t have much length to him, so I was on the fence about taking him if he were to close the gap. He walked over to another tree and started rubbing that as well. 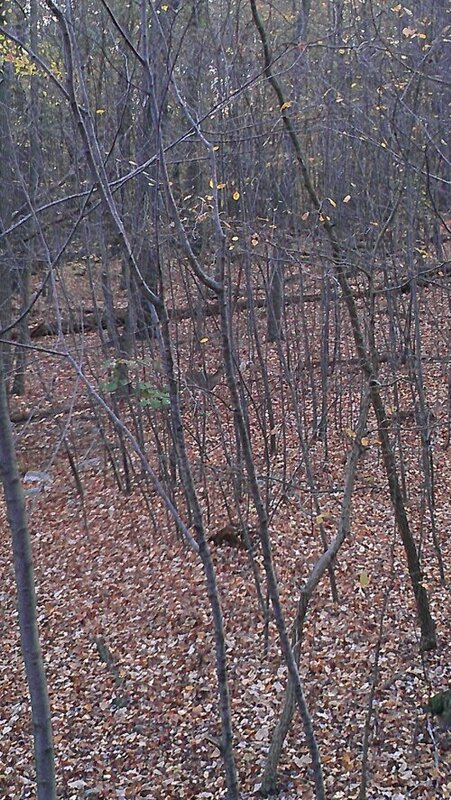 As he was rubbing, I spotted the 5 point from earlier heading down the hill, heading towards the 7 point. 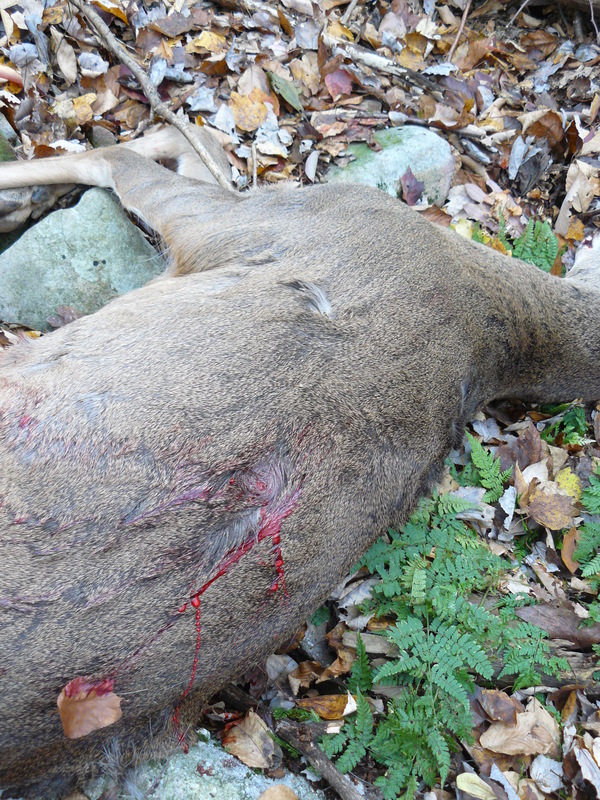 As the 5 point approached, the 7 point stopped rubbing and instead lowered his head and put his ears back. He aggressively stepped towards the 5 point, but the younger buck knew his place and continued on his way down the hill. The 7 point slowly followed him down the hill, staying at about 50 yards the whole way. I probably would have been tempted to take him, so I was glad that he stayed out of range. After he left the area, the sun finally popped out for the first time and it didn’t take long for the woods to warm up. I sat in the tree until 12pm before deciding to climb down and go grab lunch. The evening sit was definitely night and day in comparison to the morning hunt. The weather report called for a light wind, but I was definitely not prepared for the nonstop swaying back and forth that I ended up experiencing for the entire evening. I saw a few squirrels running around, but that was it. No deer tonight. While it doesn’t appear that the peak of the rut is underway, it is safe to say that the seeking phase is very much underway. It should be an incredible final two weeks of the season. With the heavy winds finally died down and temperatures still on the cool side, I knew that I had to get out in the woods this morning. 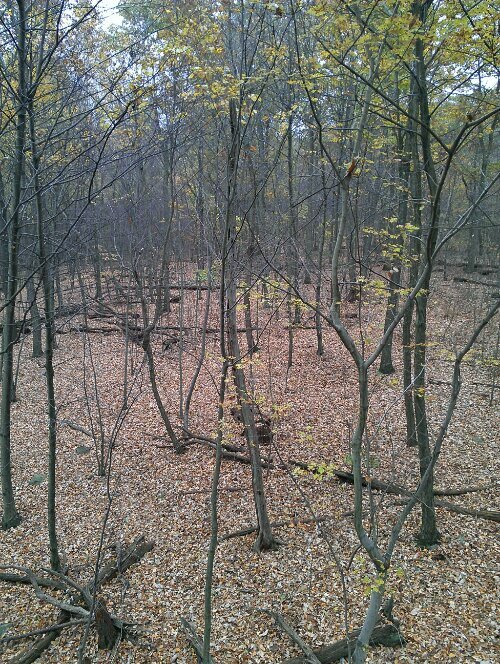 I set up in the same stand that I hunted on Day 5, which will most likely be my go-to rut spot. The morning started off rather slowly with squirrels running in every direction and a loud murder of crows behind me. Around 8:30am I heard a branch snap behind me. I turned around to see a lone hen turkey working her way across the flat. She seemed to be looking for something as she was chattering the whole way. At about 8:45, I figured I would not be seeing any deer for today. I was texting a friend to see how his morning hunt was going, when I spotted movement across the trail from me. I could see a decent body size on the deer, so I threw up the binoculars and spotted two more deer behind her. A doe and two button bucks. As they were feeding, I continued to scan the hollow below me for movement, when I realized that there was another deer standing over there as well. I brought up the binoculars again and spotted a decent rack. 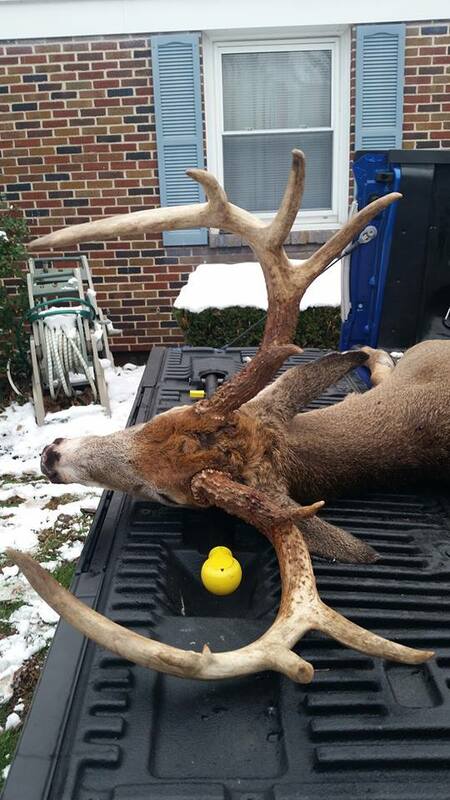 It looked to be a 12-13″ 7 point with a fairly thick rack. While watching him in the binoculars to judge whether or not I would consider a shot if he came over another deer crossed in front of him. Wouldn’t you know it, it’s the buck that missed two Fridays ago. He walks past the smaller buck, lowers his head at him, drops his ears and takes two steps towards him. The smaller buck immediately backed up, wanting nothing to do with the bigger buck. The big buck then straightened up and turned up the hill. No sooner did he go out of sight did the 7 point start chasing the doe. 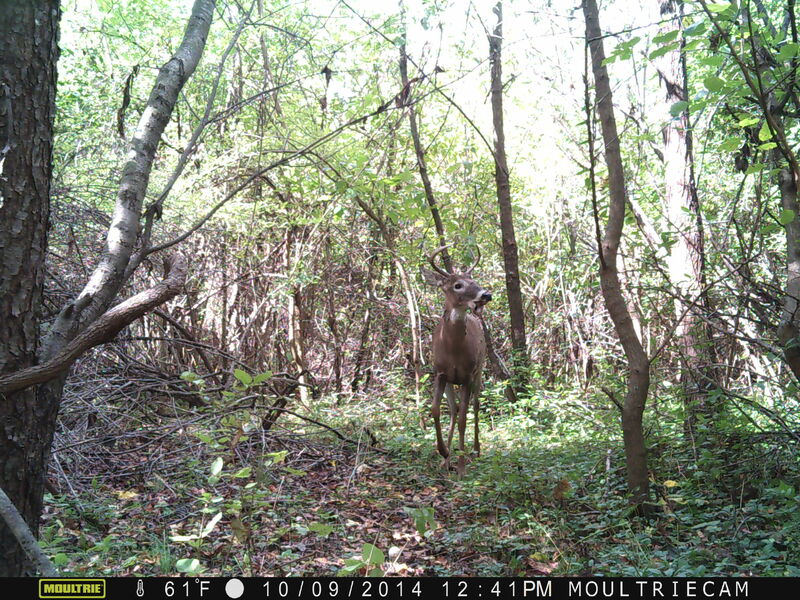 As soon as they started running, the button bucks took off. The one walked in front of me and stood about 20 yards away. The buck and doe disappeared down over the hill and the woods went silent for a minute or two. The button bucks continued to feed as I once again caught movement on the flat. I spotted through the binoculars the 7 point had come back from the chase and was now munching on acorns. I then spotted the doe about 50 yards up over the hill feeding under an oak tree as well. While watching to see what the deer would do, I heard a branch snap down over the hill. The button buck in front of me took off running across the road, meeting up with the other button buck before running off to the hollow on the other side of the flat. I scanned the hill below me for movement when I spotted a large bodied deer moving through the saplings. It was another good buck. 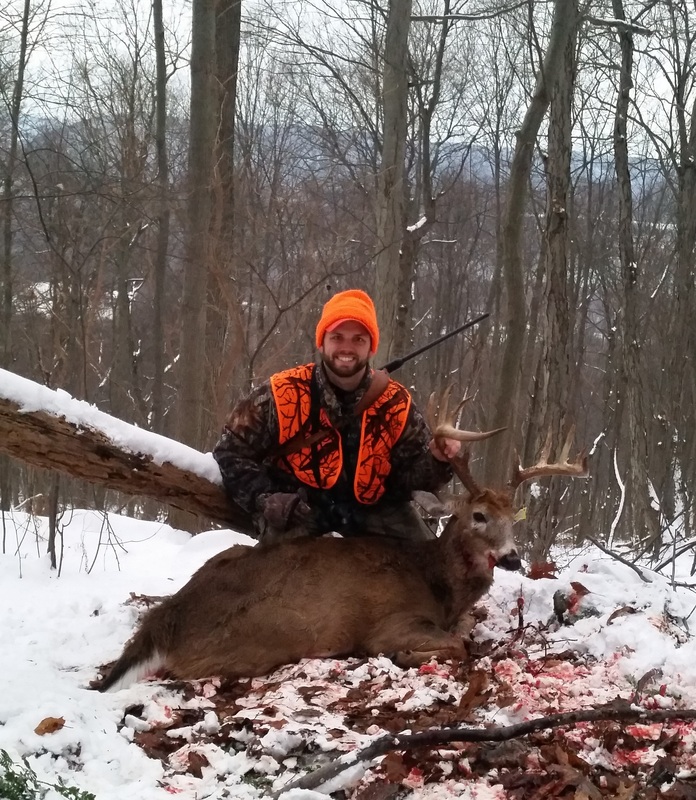 It looked to be an 8 point with a spread of about 15-16″. A shooter in my book, but as he worked his way up the hill, he also worked away from me, before finally walking out of sight. It was now 9am and the woods were once again quiet. I sat in the tree for another 15 minutes before deciding to call it a day. After all of the action on the other side of the road, I think it is safe to say that I will be hunting over there tomorrow morning. After yesterday’s action, I moved across the ATV trail and set up in my opening morning spot. On the walk in I jumped a deer along the road. It ran a few yards and then just starred at me as I continued down the trail. As I was climbing my tree, I could hear walking. I turn around and here comes the same deer down the ATV trail. Thinking nothing of it, I continued up the tree with my climbing treestand. Not much longer, I hear the walking again. I turned around and deer is heading right for me on the exact path that I had just walked. I was maybe 12 feet off the ground and I knew it was only a doe, so I continued up the tree and figured if I spook it, it’s not a big deal. Plus, I figured it was probably a fawn with how curious it was acting. I am moving up the tree when I realize that the walking is eerily close. 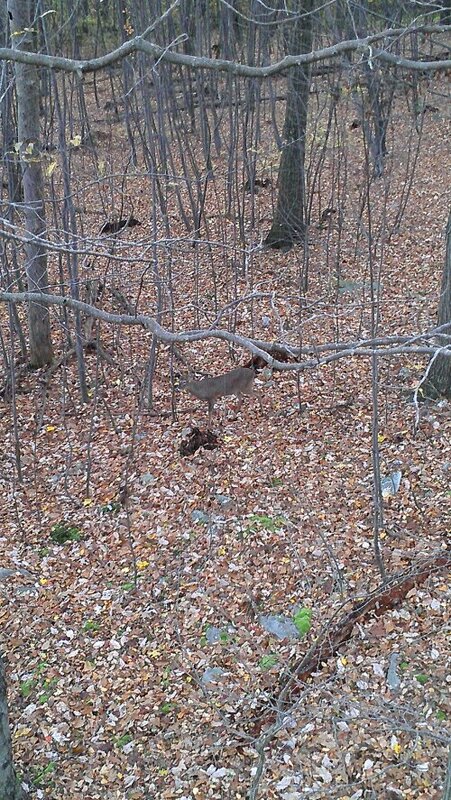 I look down and the deer is at the base of the tree sniffing my bow. It then walks down the hill a little and looks up at me. I was almost done with my climb at this point, but was still adjusting the positioning and the deer was completely unfazed by me. What really surprised me now that it was up close and I could fully see it in my headlamp, it was a definite adult doe. As I continued to get ready for the morning, she worked her way out the flat eating acorns before she finally disappeared before daylight. Definitely one of the stranger pre-light encounters I’ve ever experienced. Once it got light out, it was a slow morning. The dozens of squirrels that populate the area sounded like elephants as they ran around the flat gathering acorns. Three hen turkeys passed through out of range around 8:30, but other than that it was a quiet morning. The deer never showed up. I climbed down around 9:15am and spent the last 15 minutes opening a few new spotting lanes in preparation for the days ahead. While yesterday made it feel like we were very close to the rut, today made it seem like we are no where close to the rut. With plans to hunt every day for the remainder of the season starting on November 2nd, the best is yet to come and this should be my last double post.